Taghhannuck’s regular April 11th meeting starts at 8:00PM, our summer hours. The Program “Spring Cleaning In & Out” begins at 7:00pm and is exactly what it sounds like. If you plan to come bring cleaning supplies to help out. We will have a booth at the 34th Sharon Classic Road Race on Saturday May 4th on the Sharon Green in the middle of town. The event usually runs from 9:00am- 12:30pm. If you are a runner this is a great 5 mile event and if not there is a Silent Auction, Bounce House, Massages, Food Concessions, local exhibits from community organizations (THAT’S US), music and more. Please visit us there. 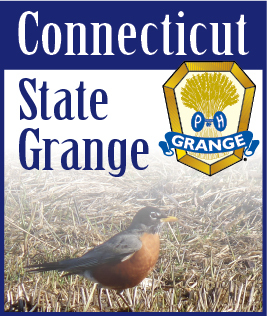 Our goal is to get Taghhannuck Grange out there and try to get younger people interested in our grange. We did get one application from our February event with Carol Ascher. Our invitation to have a booth at the May 4th Road Race also came as a result of our February event.